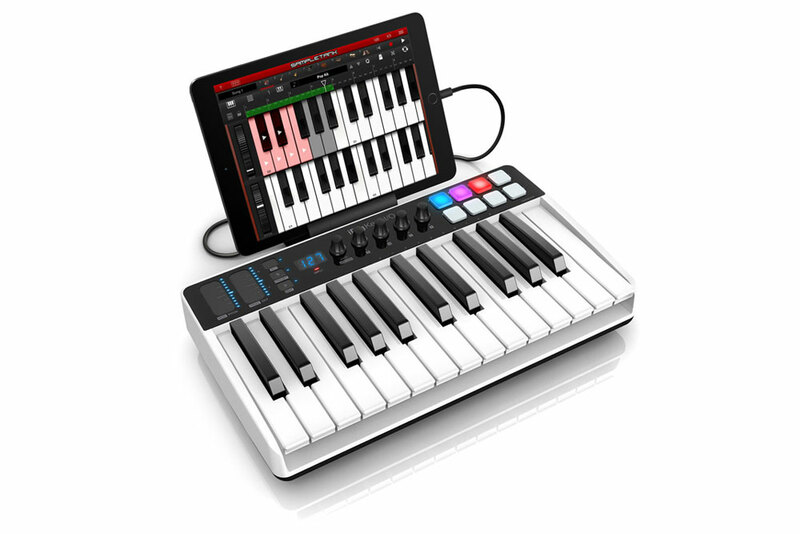 Being certified Apple MFi keyboard controllers ("Made for iPod, iPhone, iPad,”) iRig Keys I/O are guaranteed to work out of the box with all iOS devices including the latest generation of iPhone 7, that does not have an audio output, thanks to the on-board audio interface. 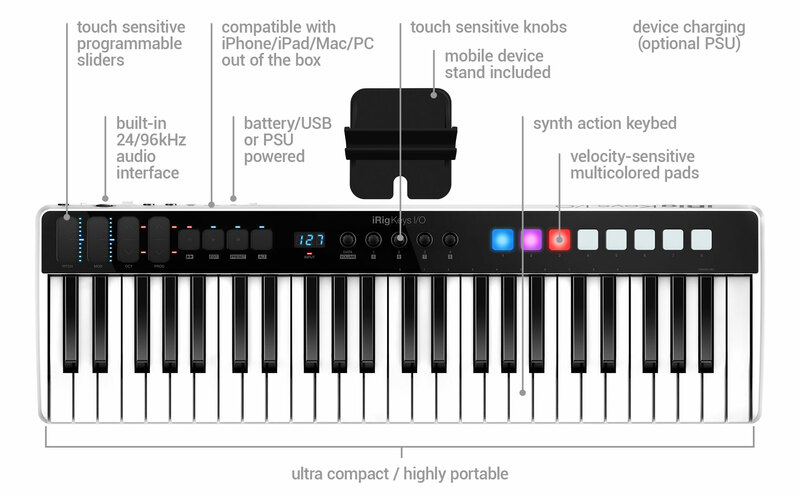 The included Lighting cable allows for straight plug-and-play with Apple iOS devices, the USB cable connects Mac and PC computers. 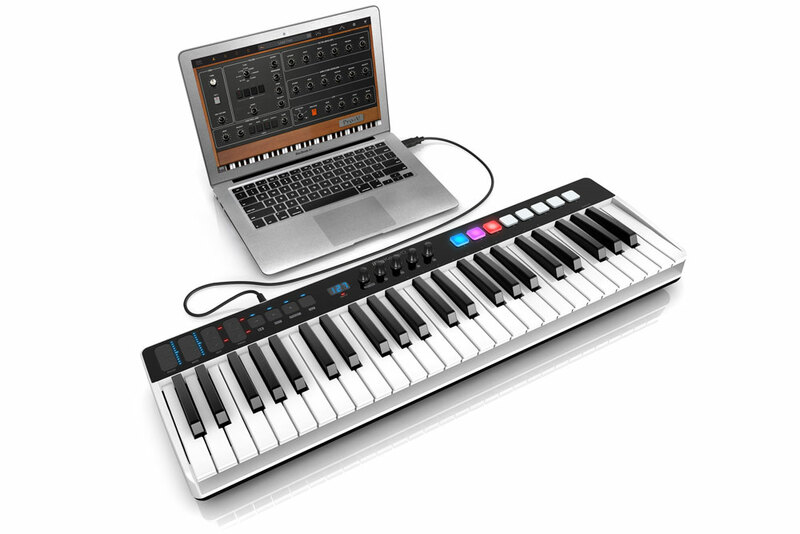 Plus with over $/€550 (25) and $/€750 (49) worth of IK full software and apps they include an unmatched selection of everything that is needed to make complete, finished productions out of the box like the full SampleTank 3 sound and groove workstation, Miroslav Philharmonik 2 CE orchestral workstation, Syntronik Pro-V vintage synthesizer, T-RackS 4 Deluxemix and mastering suite, Ableton® Live 10 Lite™ and more, as the ultimate music production station.